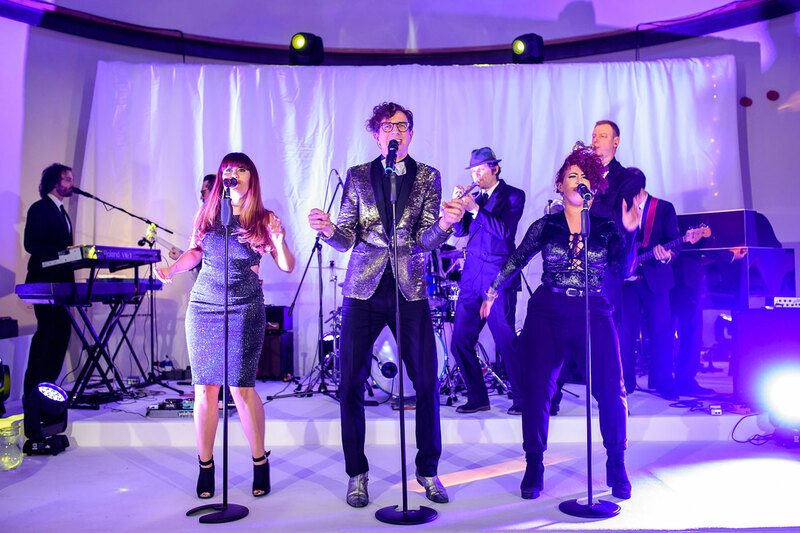 Why have a Christmas party when you can continue the fun with a New Year’s Party! 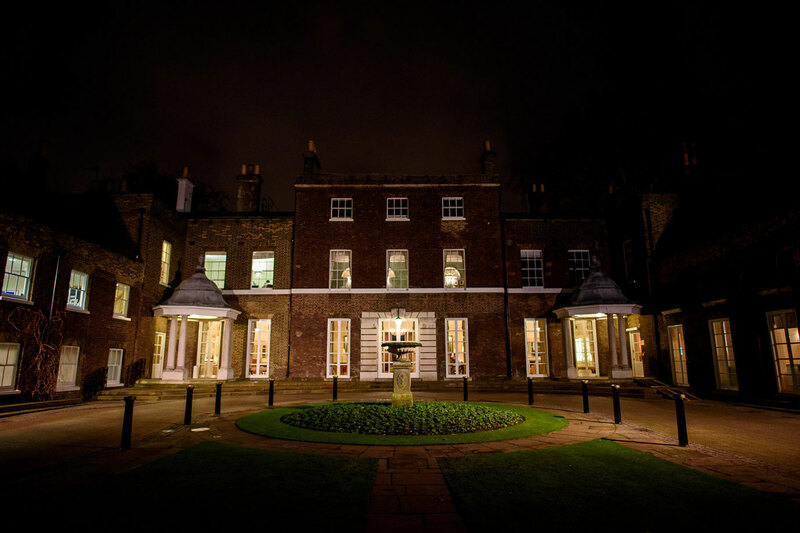 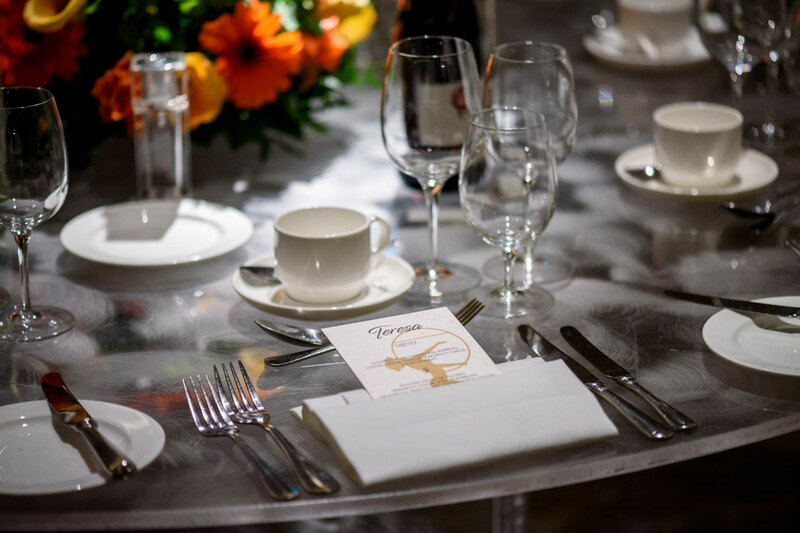 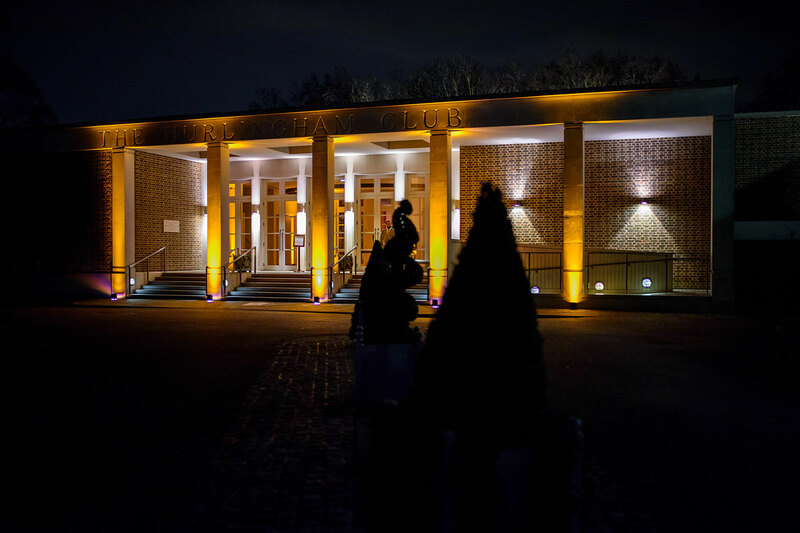 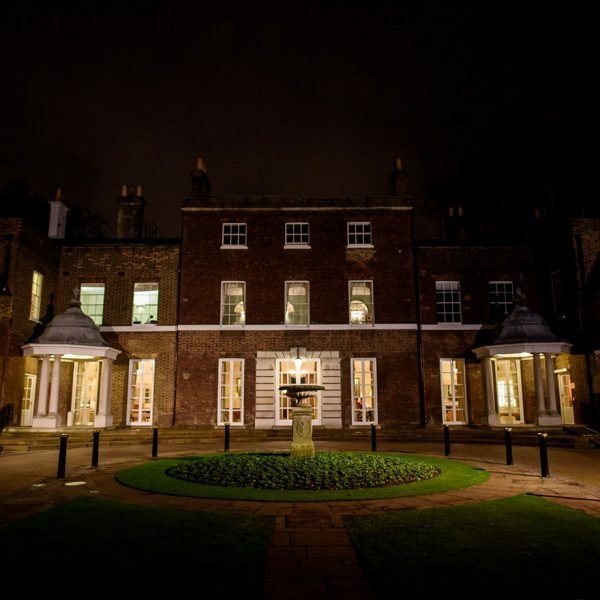 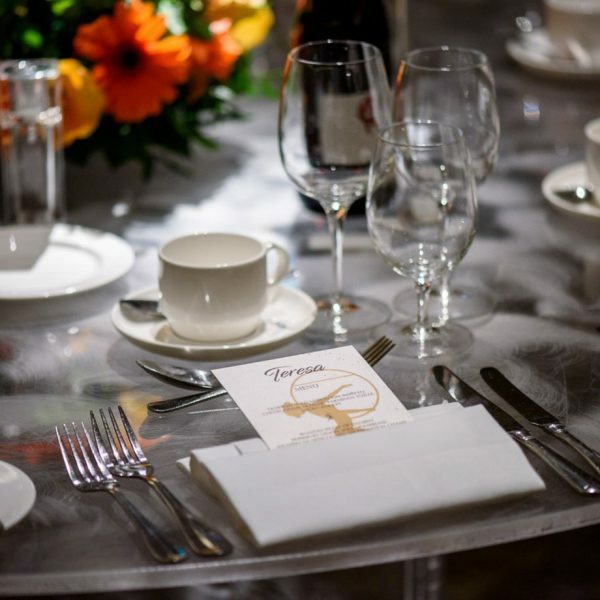 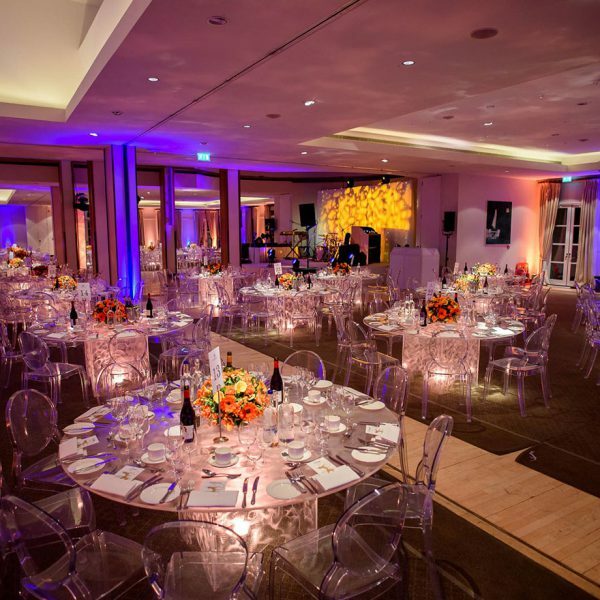 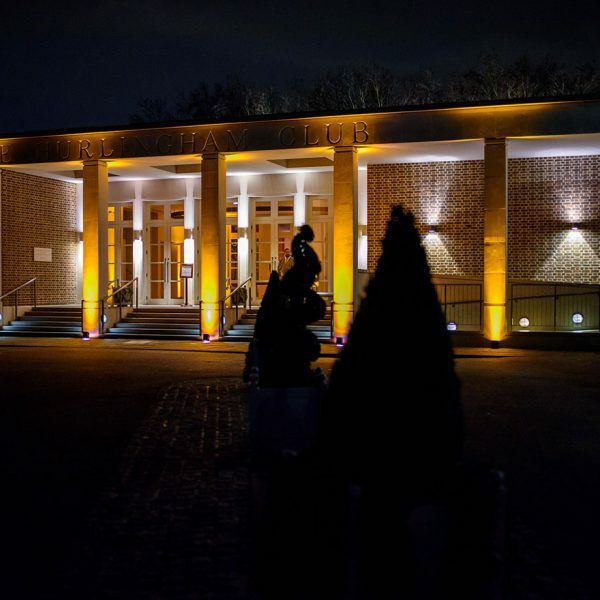 We had the opportunity to organise a drinks reception followed by a seated dinner for our oil company client. 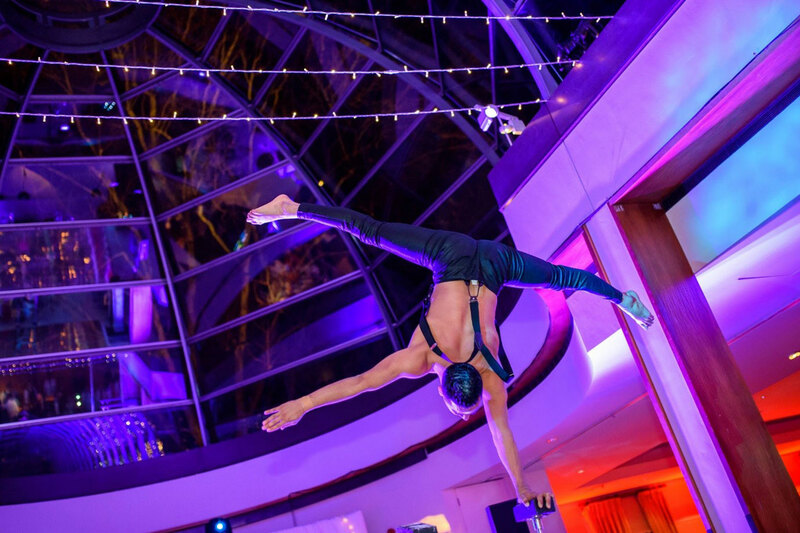 For this year’s theme, the client decided on Cirque du Soleil. 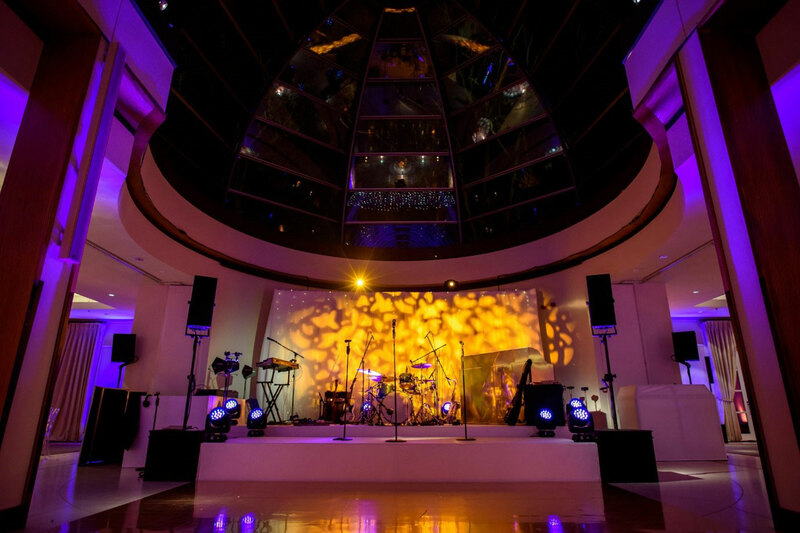 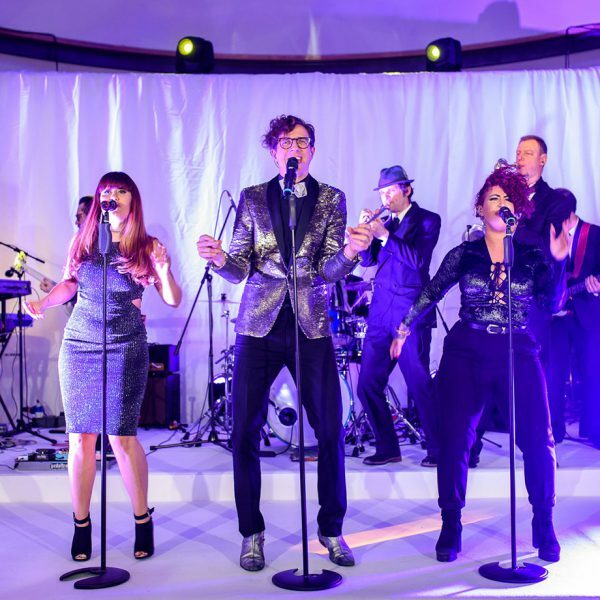 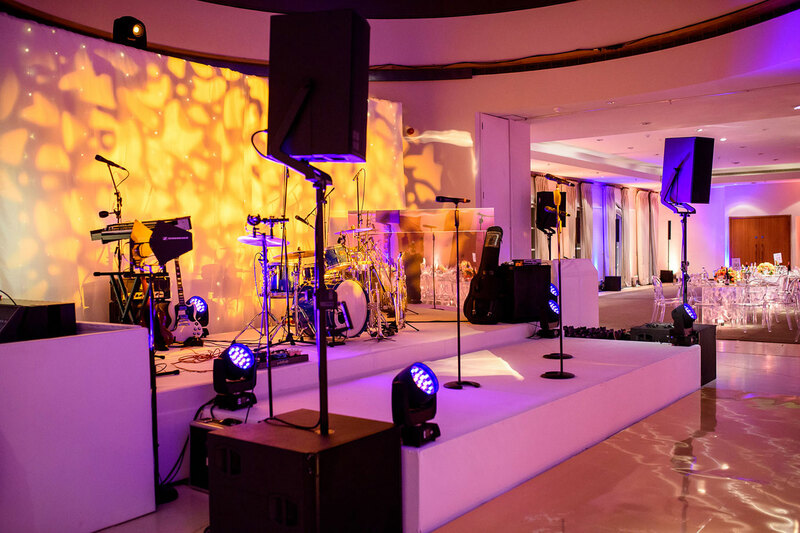 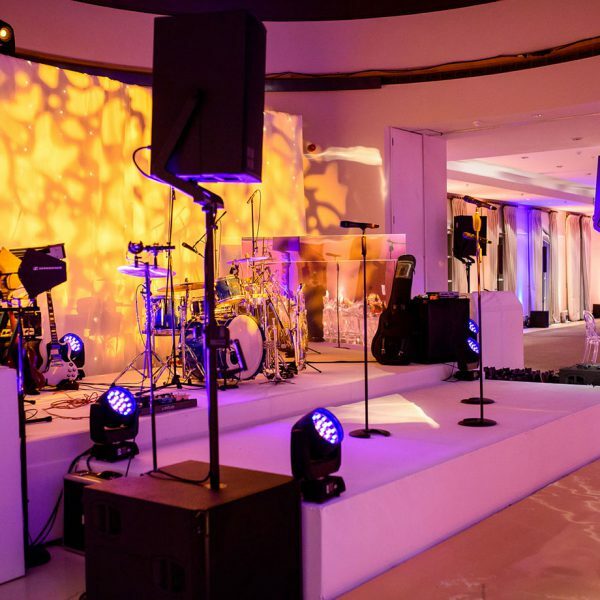 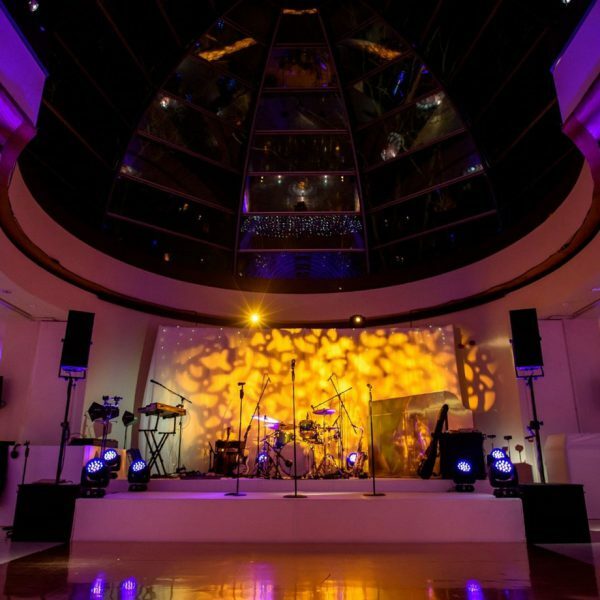 We provided full event management for this event, this including entertainment, invitations, theming, audio visual and production. 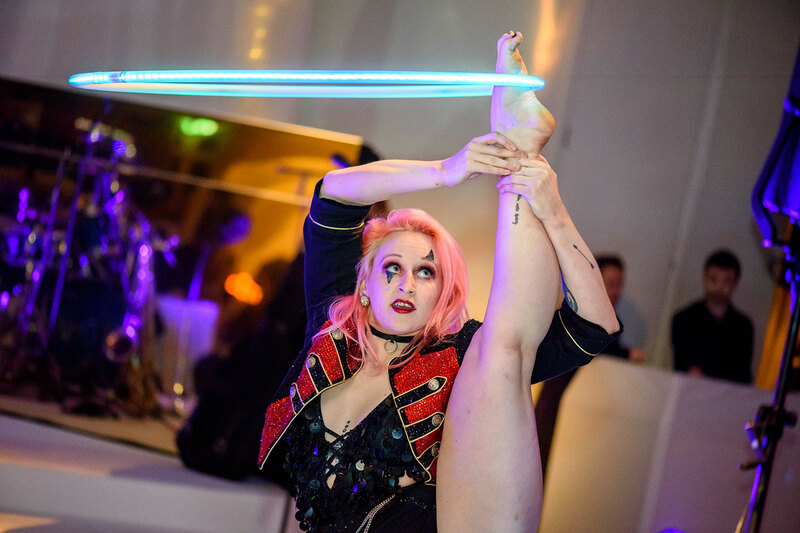 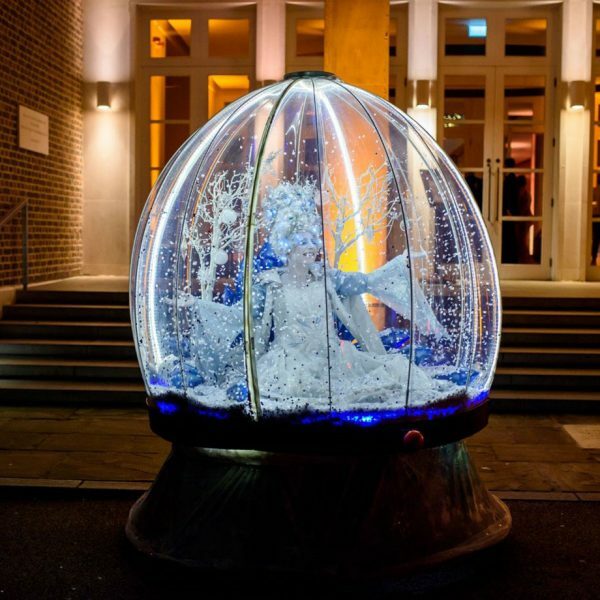 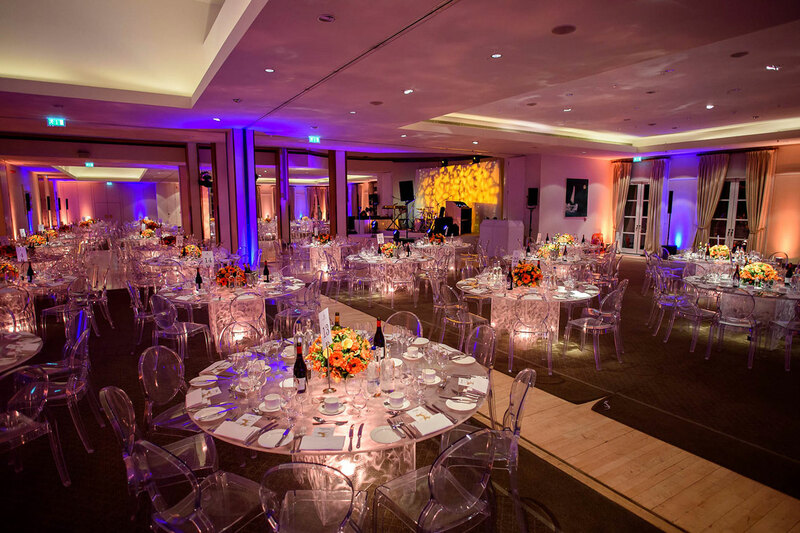 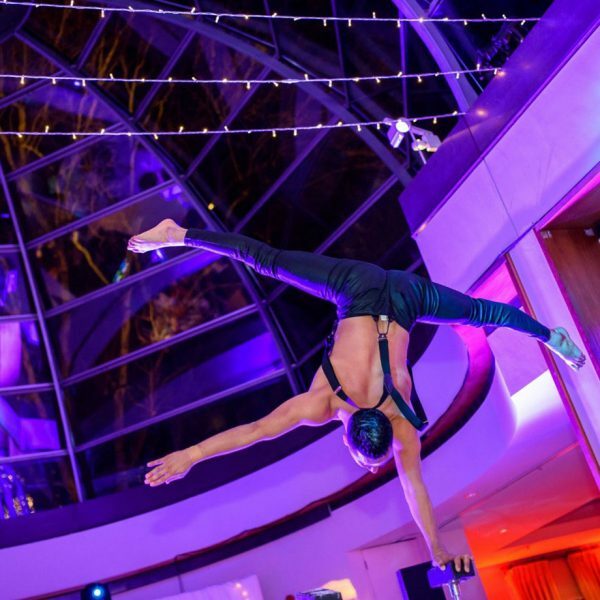 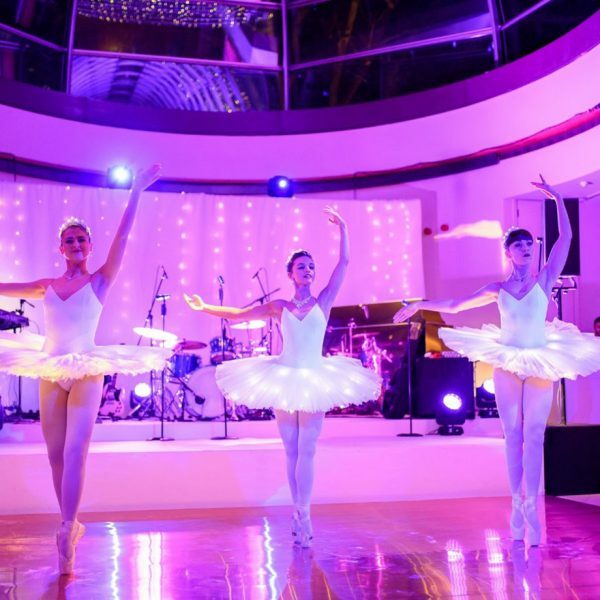 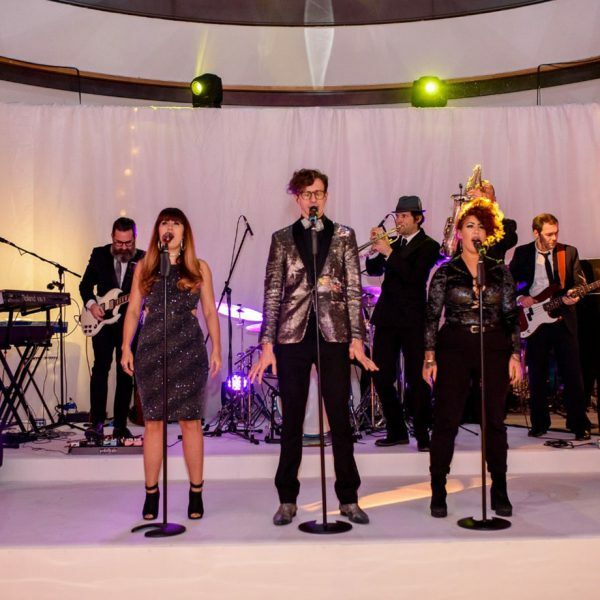 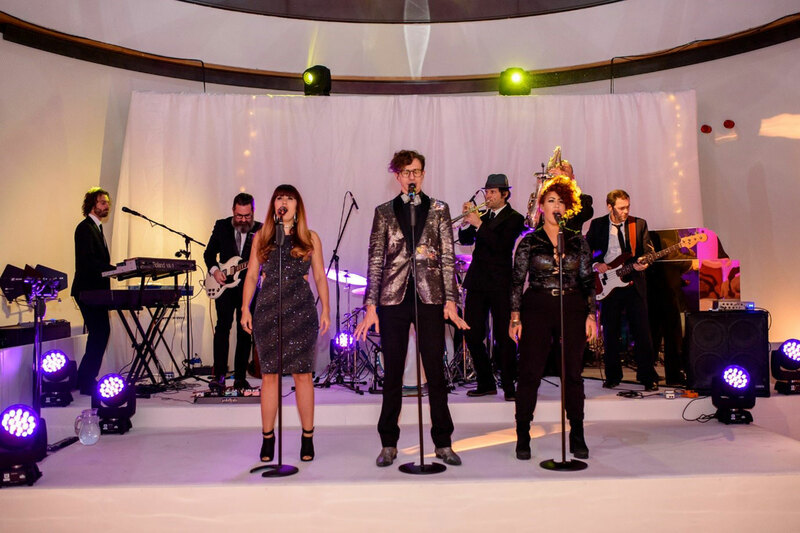 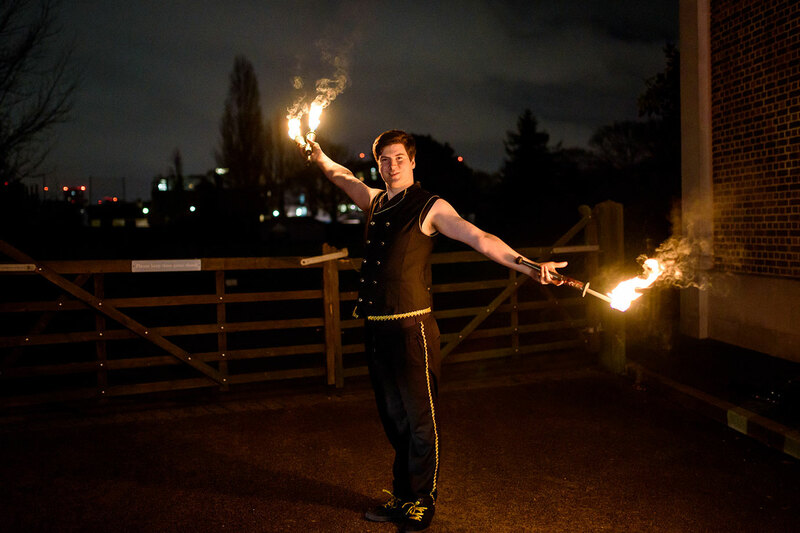 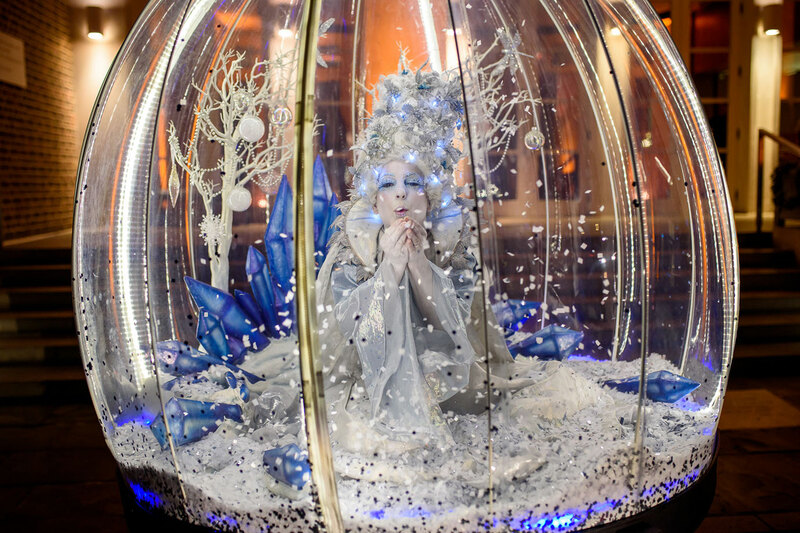 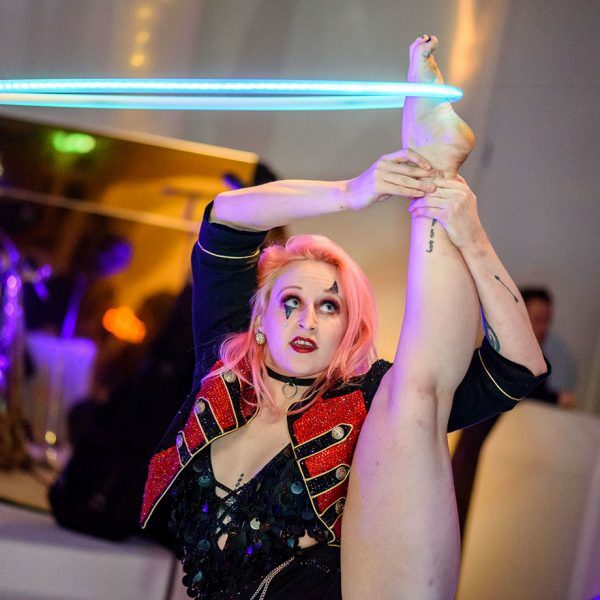 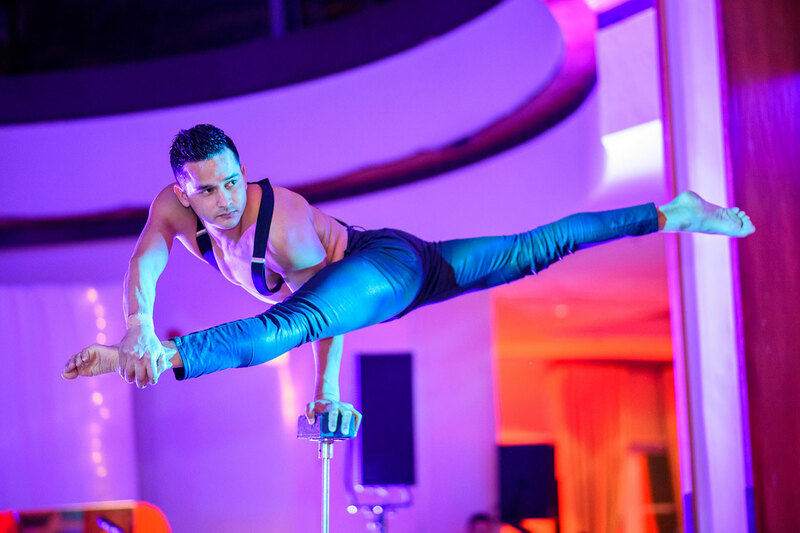 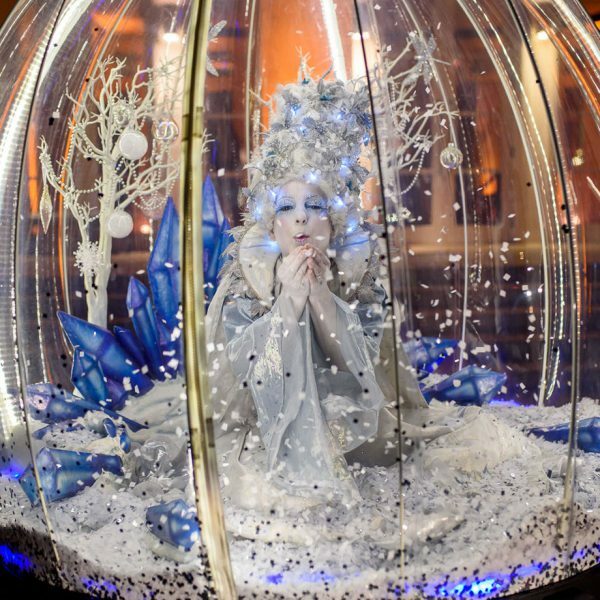 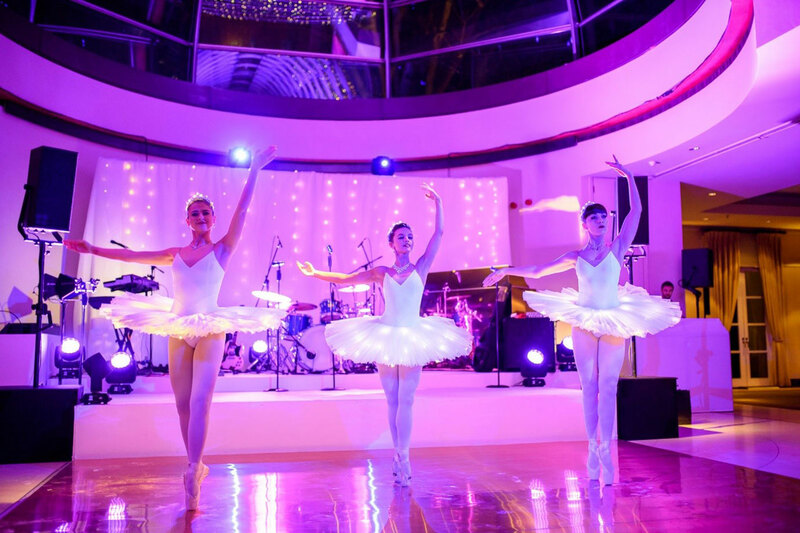 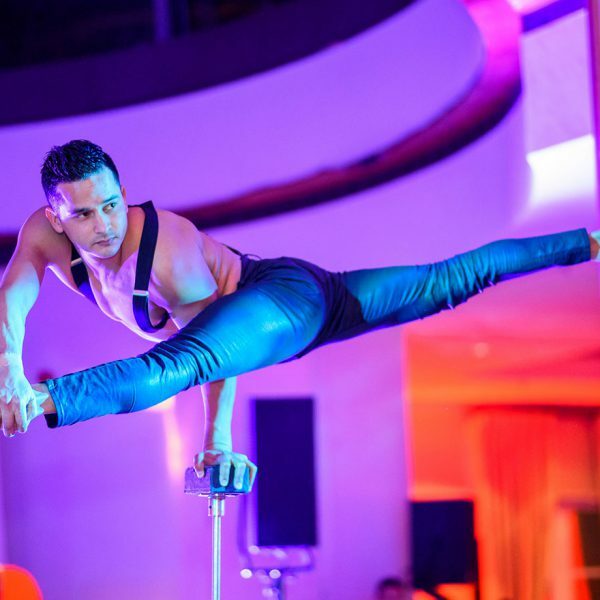 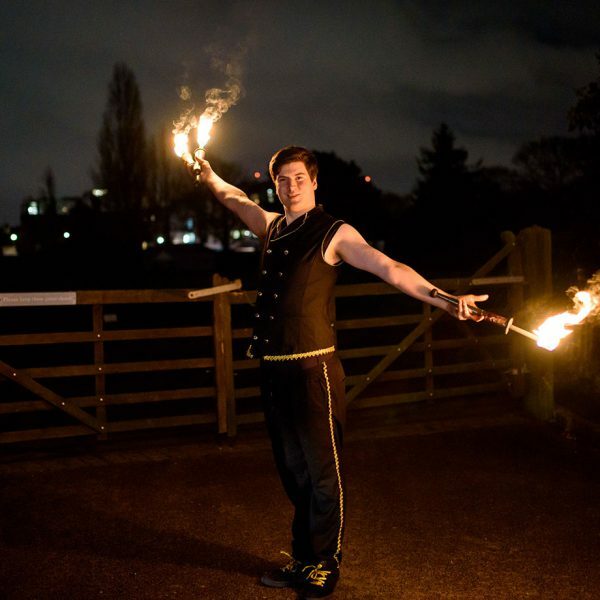 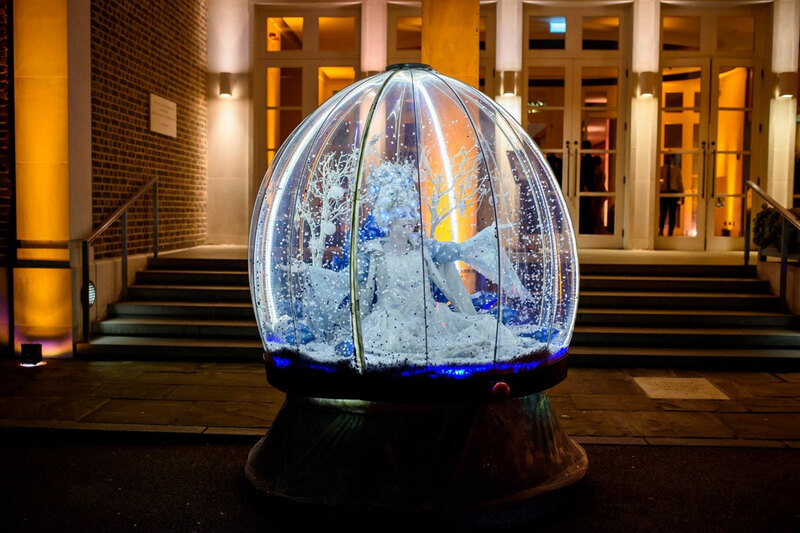 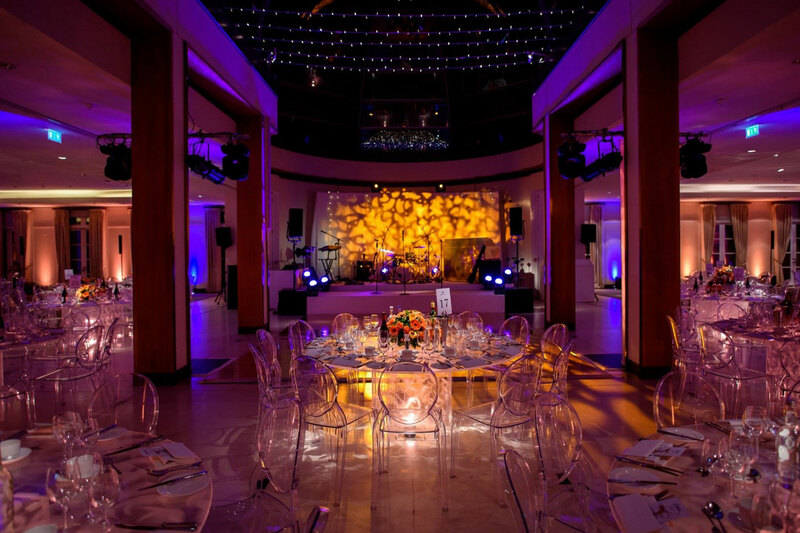 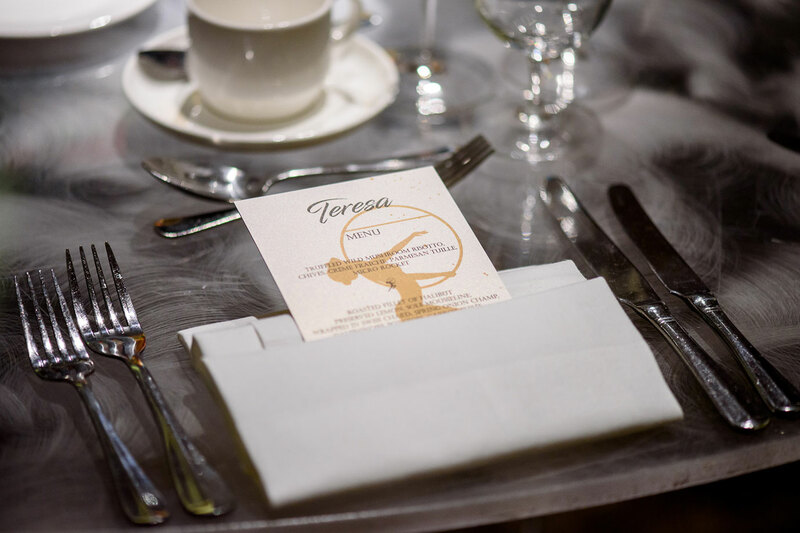 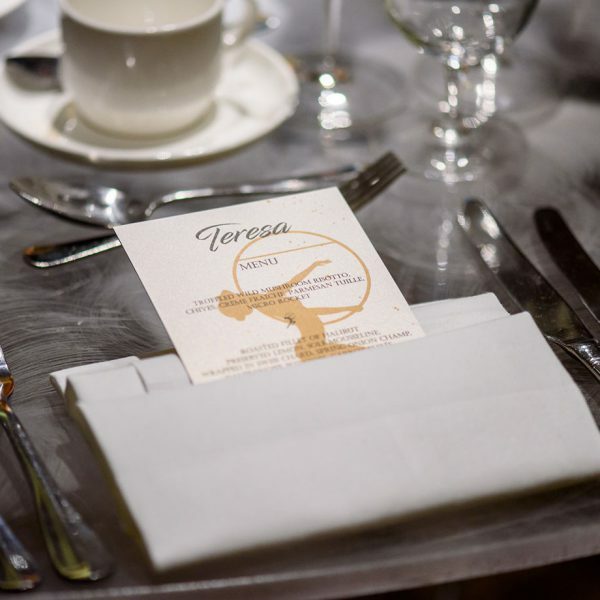 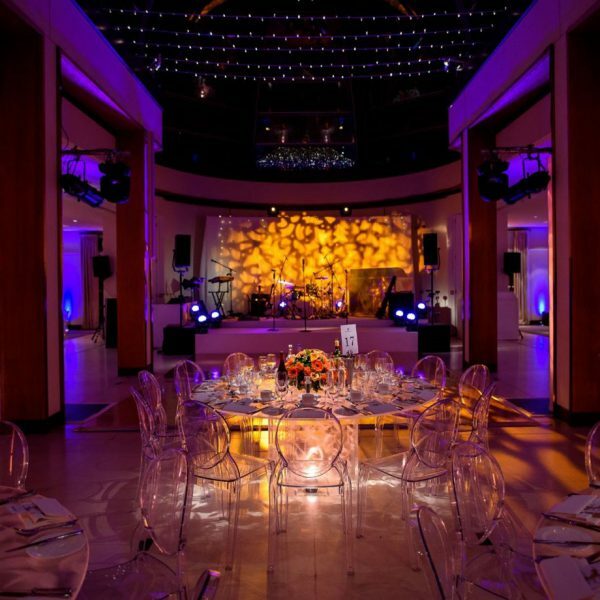 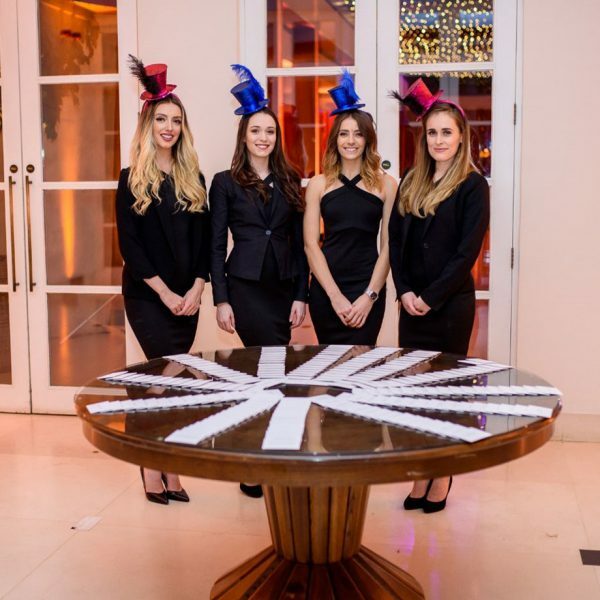 Guests were greeted by an interactive snow globe and fire act, followed by LED hula hoopers, hand balancer, contortionist, cloakroom ballerinas and acro-balance performers during dinner. 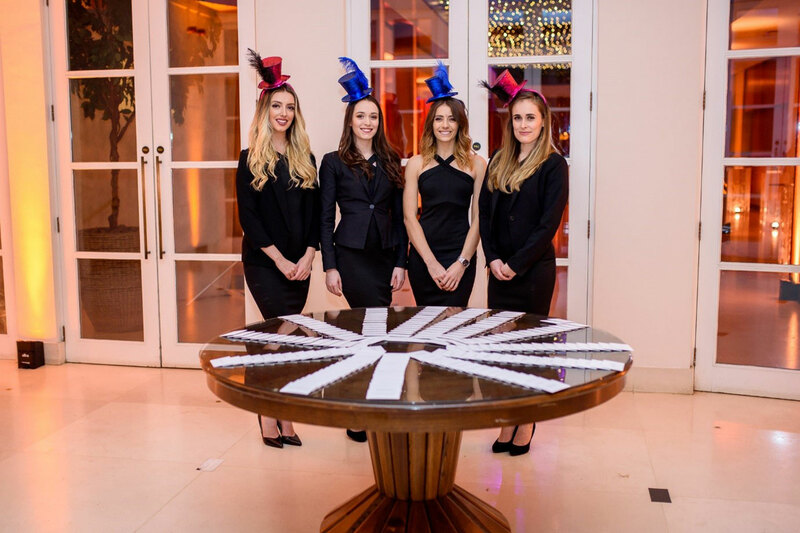 The latter part of the evening involved casino tables, a 9-piece band and DJ followed by midnight snacks.